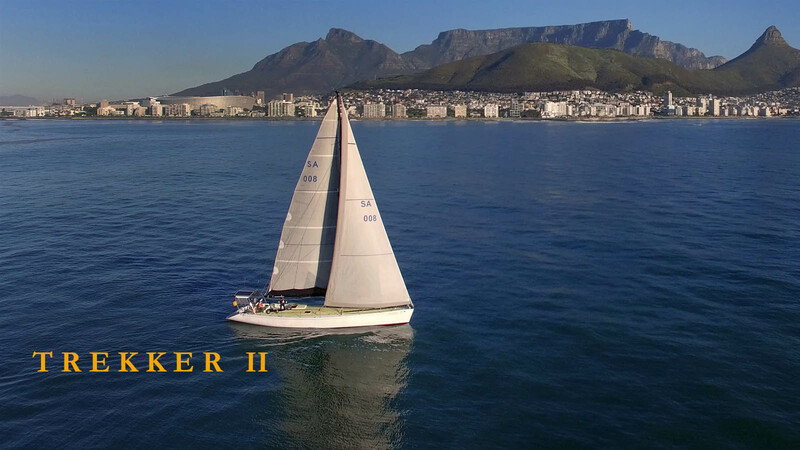 One of South Africa’s sailing icons, TREKKER II was designed by Angelo Lavranos and built by the SA Navy’s Dockyard. The yacht was conceived as a replacement for the aging VOORTREKKER. This yacht is rich in its history having sailed into the history books with the renowned springbok skipper, John Martin, at the helm. Bertie Reed, another one of South Africa’s famous sailors, has also added to TREKKER II’s experience and heritage. She has participated in numerous races including the ‘Round the Britain Double Handed Yacht Race’, and ‘BOC Around the World Race for single hander’s to name a few.